No hidden fees - what you see is what you pay. Optional extras such as child safety seats - these are available at an extra charge. You can select these options at the end of the booking process. Welcome to DIY Car Hire New Zealand, the home of discount car rental deals and specials. Find cheap car hire in Auckland, Wellington, Queenstown, Christchurch and many other places. Take a look at all our Car Rental Locations or check out our New Zealand Travel Tips. Suppliers include Europcar, Avis, Budget, and Hertz. 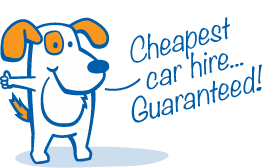 We put their best deals on DIY Car Hire so that you can find the cheapest New Zealand car hire specials in one place. 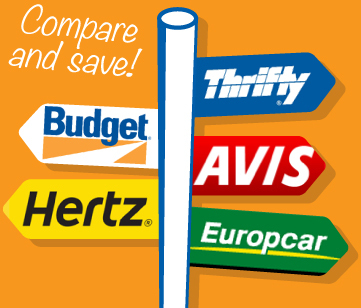 Car rental in New Zealand has never been so cheap and it has never been so easy to compare the cheapest deals with Europcar, Budget, Avis, Hertz and Thrifty. Answers to common questions about car rental in New Zealand are available here. If you are a visitor you may like to check out our hints for driving in New Zealand. Why Choose DIY Car Hire? In just 3 steps, you can compare rates for all the major car hire companies in New Zealand, select your preferred rental car and book online using our safe, secure booking system. For even more peace of mind, we do not require you to enter your credit card details when you book car rental online. Our quotes are guaranteed and our unique Price Smash promise means that you won't find a cheaper price for New Zealand car rental.